Local sourcing of raw material necessitated reformulation of the product and to achieve improved performance and savings. 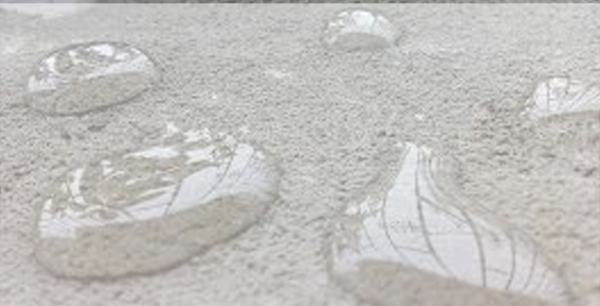 Laboratory testing (See Technical Update) revealed that a 1% adding ratio by volume to a cement plaster mix was adequate to achieve a Hydrophobic or water repellent substrate after curing for 48 hours. Mix the dry components and add the powder in a ratio of 10 gram per kilogram. Add water to achieve the required homogenous paste and stir / mix well. In severe requirements the adding ratio may be increase to 40 gram per kilogram. When not in use, keep containers closed and sealed at all times. Store under cover in a cool dry place. PCT HYDROPHOBIC POWDER ADDITIVE FOR CEMENT PLASTER AND CONCRETE. To determine what the optimal adding ratio of PCT HYDROPHOBIC POWDER ADDITIVE FOR CEMENT PLASTER AND CONCRETE will be to create an entirely hydrophobic or water repellent substrate. 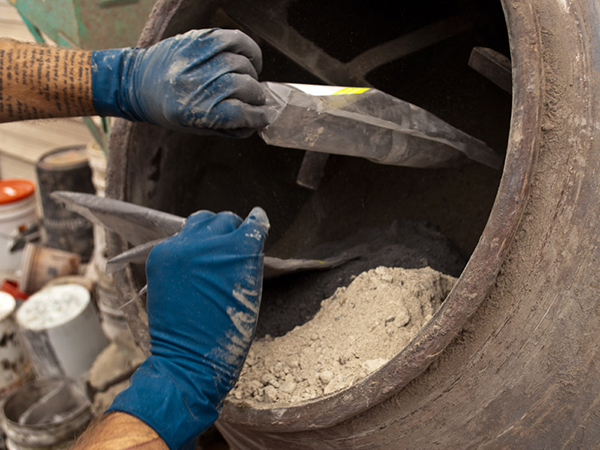 Four one kilogram test samples were prepared by mixing sifted sand and Portland Cement in the ratio of 3 sand to 1 cement by volume. Sample 4 Reference sample, no additive. Water was added and the ingredients mixed well with mechanical stirrer to achieve a homogenous paste. The mixture was left for 5 minutes and stirred again. The samples were poured into moulds measuring 15 cm x 13cm x 2.5 and removed after 48 hours. After 48 hours the moisture content of all the samples were tested and found to be less than 3%. Karsten Water Ingress test tubes were fixed to the samples and filled with 50 millilitre potable water. The samples were left for a period of 24 hours. A violent reaction occurred when the reference sample was subjected to Hydrochloric Acid. No reaction was evident or observed on the test sample. A cut-through section was obtained from the reference sample as well as the test sample for the purpose of comparison. The molecular structure in the reference sample revealed a rough texture with large visible capillaries. The molecular structure in the test sample revealed a smooth texture with barely visible capillaries. Improved crack and yield properties of the sample were evident during comparative test with the reference sample. Sample 4 Complete head loss after 4 hours. The moisture content after curing was low and well within parameters. The sample contained acid resistant properties. The aforementioned results clearly indicate that an additive ratio of 10 gram per kilogram or 1% is sufficient to achieve optimal results. For extreme requirements the ratio may be increased but not to exceeding 40 gram per kilogram or 4%.